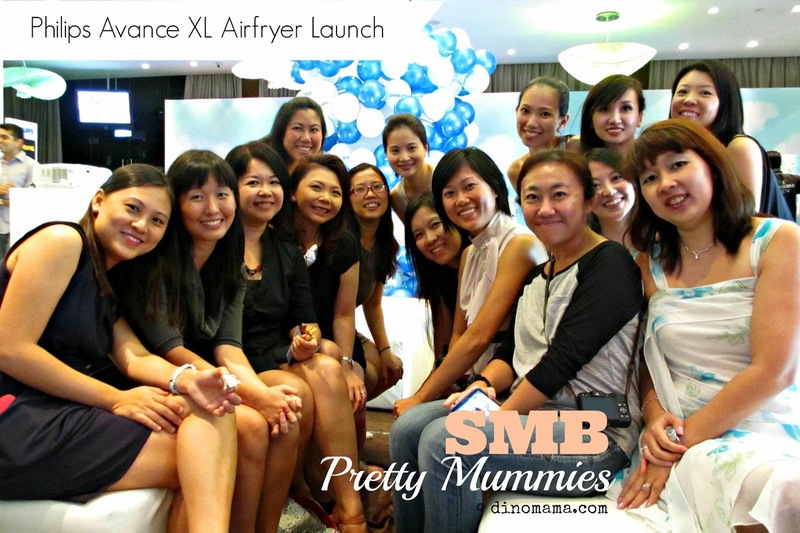 I had the opportunity to attend the Philips Avance XL Airfryer launch event recently and had a blast of time. At the event, Philips set up a photo booth with some props for us to take photos with our mobile phone and post them on instagram. This is like heaven for us bloggers coz we simply love to pose for photos, take photos and share them in our instagram. 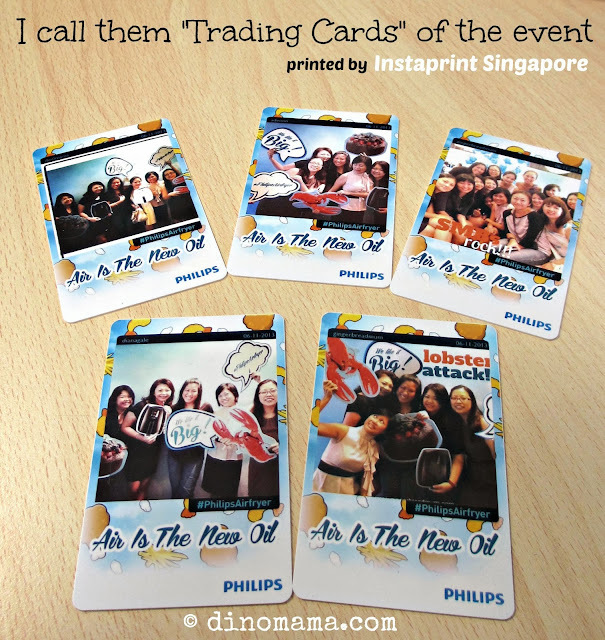 What's more, we can print our insta-photos on the spot~ Instaprint Singapore printed our photos onto these palm size cards. I was squealing with delight when I saw these 2 celebrities at the event! 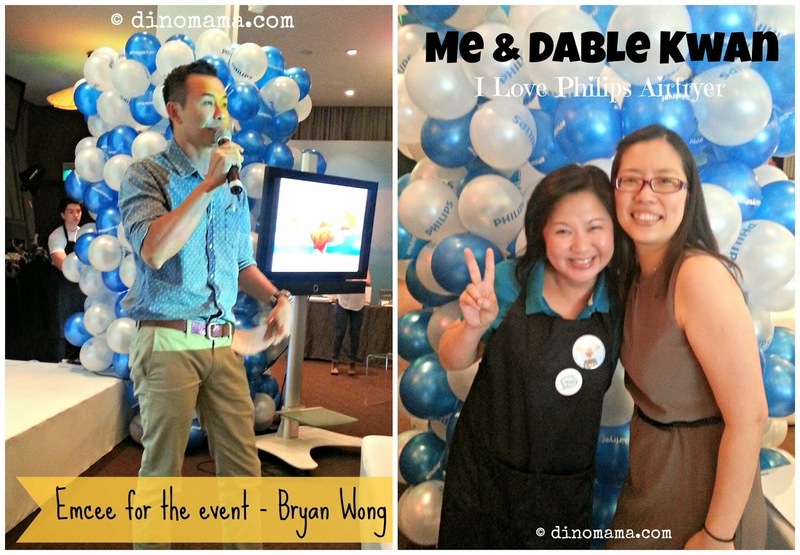 The ever funny, sharp tongued, quick witted Bryan Wong and the famous founder & owner of I Love Philips Airfryer facebook community Dable Kwan! Be sure to hop by her facebook page and join her community, you will be awed by the many airfryer recipes shared over there! We all know that Philips Viva Collection Airfryer that was launched in 2011 has taken the world of home cooking by storm, enabling the home cookers the chance to serve oil-less and healthy fried food. With the new Philips Avance XL Airfryer besides frying you can grill, roast, gratinate or au gratin and bake your food. One Machine, Five Ways of Cooking, now that's a useful gadget I want to have in my kitchen. And the group of us, the proud members of Singapore Mom Bloggers, jived, dined, laughed and enjoyed ourselves to the max at the event. As all of you know, I've been cooking on weekends and starting of this year I've even managed to cook on some weekdays too but it's a little bit challenging since I have about an hour plus to get dinner on the table before the little man screams "I'M DYING OF HUNGER" into my ears. Even with marinated meat and vegetables all cut up earlier that morning, I still have to spend roughly about 30 to 40 mins to cook and serve them. So most of the time I will prepare one dish and have it with steaming white rice, simple and boring to a certain 7YO. On a particular day I decided to use my new kitchen gadget Philips Avance XL Airfryer to prepare dinner. I bought a salmon fillet, a packet of marinated pork belly and a packet of vegetables from Cold Storage after work and headed home. After washing the salmon fillet, I cut it into 3 smaller pieces, rub on some sea salt, sprinkle some pepper and Italian seasoning, let it sit for about 5 mins while I preheat the airfryer. 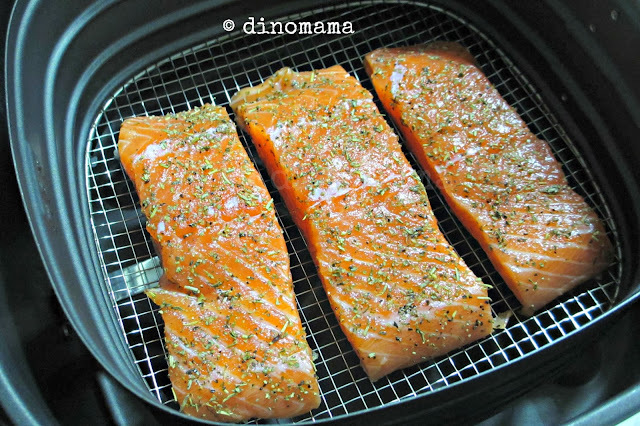 I am glad that the airfryer comes with a large basket (1.2kg capacity), this means that I can cook my salmon fillets all at the same time instead of cooking them in 2 batches. My salmon and pork belly took about 8 mins each to be grilled to perfection and while these 2 dishes are cooking, I stir-fried my vegetables. Dinner is served under 30 mins! Amazing isn't it! Now I am sure that I will be able to cook dinner more often during weekdays, plus there will be no more one dish dinners! Now here is a great deal for all of you wonderful people out there! Cook with Air today! 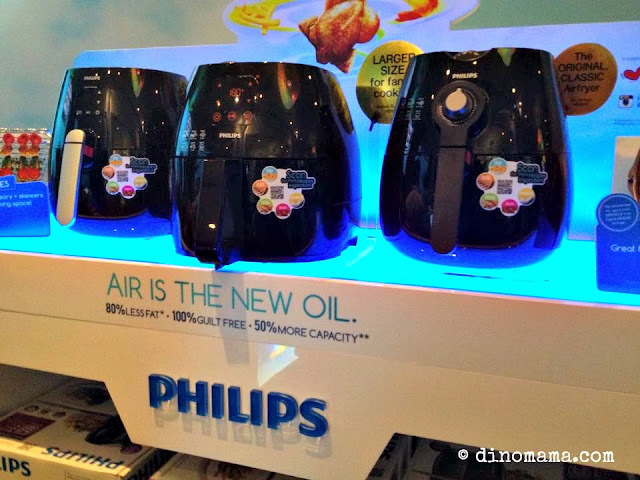 Quote DinoMama and buy the Viva Digital Airfryer at $399 (Usual price: $459), FREE $50 SHOPPING VOUCHER and Avance XL Airfryer at $479 (Usual price: $539), FREE $50 SHOPPING VOUCHER at the PHILIPS EXPERIENCE SHOWROOM. This promotion is valid from 1st December till 31st January 2014. Saturday: 9.00 am – 1.00 pm. Disclaimer : I received a Philips Avance XL Airfryer from Philips for purposes of this review, all opinions are 100% based on my experience as a first time user of the airfryer. All photos in this review were painstakingly taken by me so they belongs to me. OK, I cheated and read the post even though I'm in the US. The AirFryer sounds really cool. How does it fry? 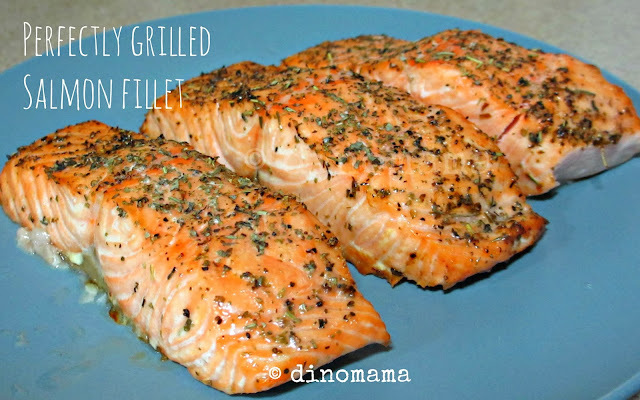 It's really grilled, not fried, right? Hahaha~ Carole you are so funny! It uses rapid air technology to cook the food, more on that in my next air fryer post. And yes it is really grilled as you can see from my photo. No oil needed to fry, grill, roast your food. The oil in my pork belly are from the pork belly itself. Hi Steve, yupe its very convenient to whip up some food in a short period of time. Like me. I'm extremely surprised when I saw an air fryer in its launch event. Bought it immediately and I'm addicted to it for a long time. Your recipe is nearly identical to mine. I have many other recipes for air fryer for my dinner with easy to find ingredients and perfect combination. My husband can even make them through my notes left for him. Great appliance ever. Yes! Definitely great appliance ever! Nice pictures. Your post is rather interesting. I agree that dinner totally finishes in 20 minutes. So great. My latest dish is home made pizza which is absolutely delicious. 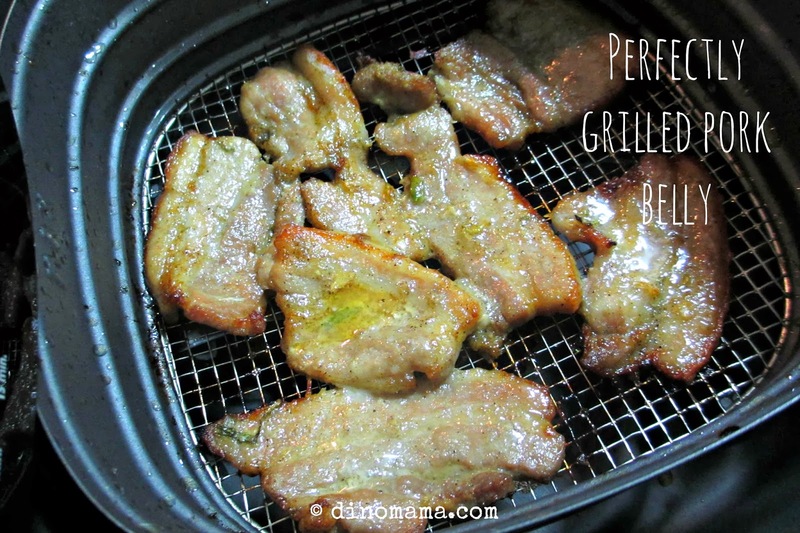 I know right~ Some were skeptical that food cooked using the airfryer does not taste as well as those using the conventional cooking method but I have to disagree with them. I've prepared many dishes using it, even bake some cakes too. Philips is a good brand. I've used some of their products to make my diners and they are just perfect. I like your recipes, DinoMama! Phillips Airfryer is a good choice for me. Dinomama, this is another great post. Love it !